I follow your blog and I can't pick one color even though I tend more toward earth tones. I really liked all of the colors in Solomon's stars. All of the fabrics are luscious. 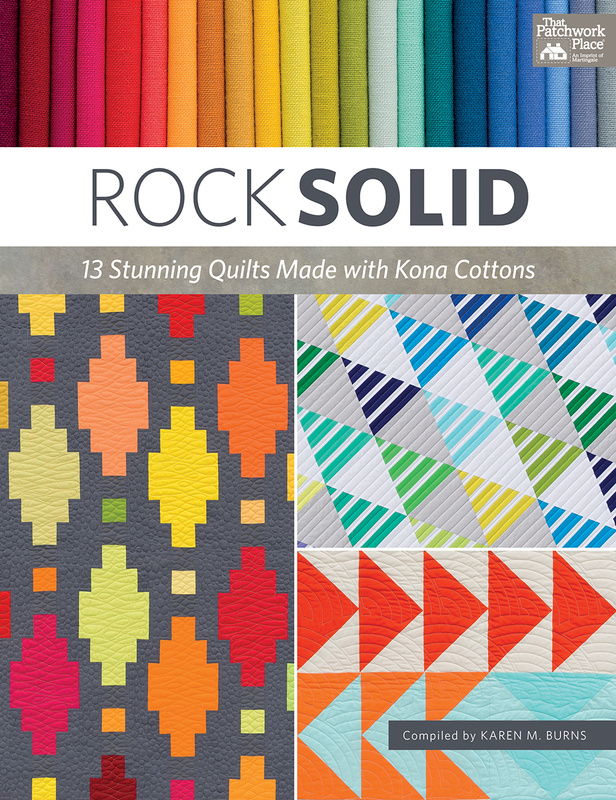 Pamela Arbour won a copy of Rock Solid - 13 Stunning Quilts Made with Kona Cottons by Martingale ,plus 2 fat quarter bundles of Kona Cottons by Fat Quarter Shop! I will send her an email soon to make hers a happy Friday. Thank you so much for participating. Keep coming back because I have more awesome books to talk about and projects to reveal - all to inspire your quilting, embroidery, knitting, crocheting, and sewing journey! If something makes me smile, wish I could put my fingers to work and give me the inspiration to create, I might as well share with you, right? And so I do. Here's wishing you a fantastic day! That is my favorite type of decision to have to make! Enjoy!! !